In Newport Beach, California, a wrongful death case involving the death of a pedestrian is pending court approval. 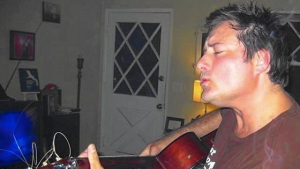 On the evening of October 11, 2015, Donald Fuschetti, a local surfer and musician, was crossing the road when an SUV hit him at an estimated 35-50 m.p.h., according to witnesses. This area had a posted speed limit of 25 m.p.h. due to ongoing construction. Fuschetti was approximately six feet from the curb when he was struck by the SUV that proceeded without even braking. He died hours later in the hospital. Fuschetti’s mother filed a wrongful death lawsuit against the driver of the SUV claiming driver inattention and the driver’s insurance has agreed to pay its maximum policy limits of $500,000.00. The settlement is pending court approval to release the driver from any further liability, despite a potential trial from a pending lawsuit against the City of Newport Beach and the paving company that was working near the intersection of the accident. The lawsuit against the City alleges that this intersection was known to be dangerous to the City, citing one pedestrian death and six more hit by cars between 2001 and 2014. Despite complaints from citizens that the intersection was dangerous, the City failed to install new safety measures prior to Fuschetti’s death. Since his passing, the City has installed flashing lights to warn drivers of the pedestrian crossing. In addition, the lawsuit claims the paving company working in the area covered a “PED XING” sign that was not repainted on the road prior to Fuschetti’s accident.